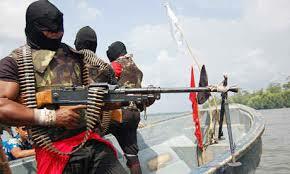 Another militant group, Joint Niger Delta Liberation Force (JNDLF) has issued a 48-hour ultimatum to the military to vacate the creeks before June 7, threatening that after that day, they would launch missiles in a total war. The group which claimed affiliation to the Niger Delta Avengers (NDA) vowed to launch six missiles in the Niger Delta region, warning the military against deployment of helicopters to the South-South as it will bring them down. In a statement, the group fixed June 7 for the commencement of launching of it missiles, saying that once the deployment of the six missiles commences, no flight operations should take place within the country’s airspace.